Services for JavaME Mobile Application Development and Application Porting by V-Soft Inc.
May 20, 2013	V-Soft, Inc.	JAVA ME Application Development	Comments Off on Services for JavaME Mobile Application Development and Application Porting by V-Soft Inc.
V-Soft Inc, the mobile development and product engineering company in India offers services for mobile application development on the popular JavaME platform. 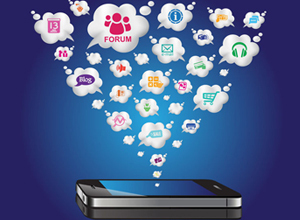 Java ME is a java based platform to support application development for mobile devices like smart phones. V-Soft’s technical team has expert Java developers who have good experience in working on the Java ME platform for development of customized mobile apps according to the requirements of the clients. According to the Java ME mobile apps developers at V-Soft, Java ME is one of the most flexible platforms for developing mobile applications. This platform supports easy-to-customize GUIs, in-built network protocols and tough security features which make development of a secure and custom mobile application much easier. V-Soft’s Java ME mobile app development has got rich expertise in several areas of java development for mobile devices. These include the core areas like multimedia content development, J2ME game development, mobile catalog development, m-commerce payment solutions, secure messaging through java mobile apps, developing mobile JUnit and development of websites with XHTML-XP/WAP-WML. Apart from Java ME, today Android is the technology on which most of the mobile apps are being developed because of the ease as well as its interesting features offered by the platform. V-Soft is a product and mobile development services provider offering services for mobile application development across wide range of platforms including Android, iPhone, BlackBerry, Windows Mobile, Windows, Palm and Symbian mobile app development. This is a mobile development and product engineering company offering a wide range of services including mobile development, product engineering, software development, embedded system services and much more. Visit http://www.v-softinc.com to learn more about the company.